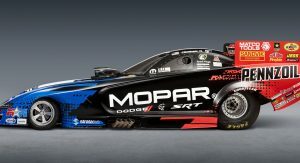 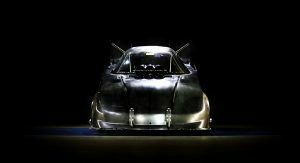 A new NHRA Funny Car version of the Dodge Charger Hellcat will soon make its debut at Bandimere Speedway near Denver, July 20-22. 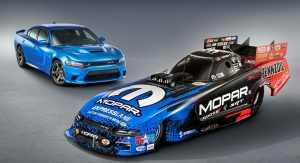 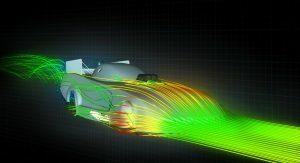 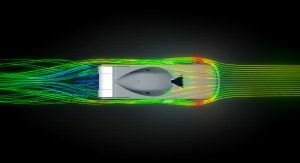 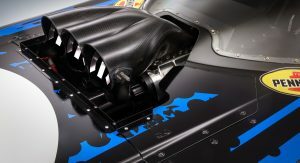 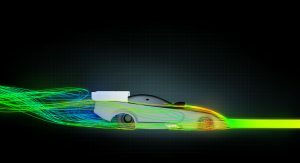 The drag racer (sort of) takes after the production 707 HP Dodge Charger Hellcat, featuring a new front splitter (for added downforce), deeper body side scallops (mitigating body burn) and a more efficient way to release energy, utilizing a burst panel positioned above the engine compartment. 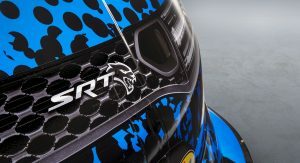 Designers used the Charger SRT Hellcat as a template to also create unique vehicle graphics. 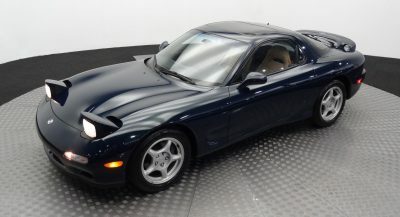 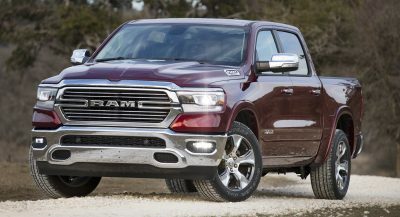 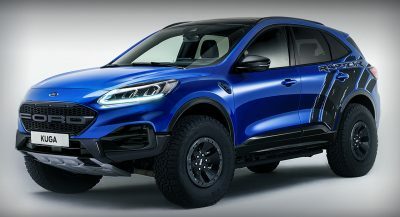 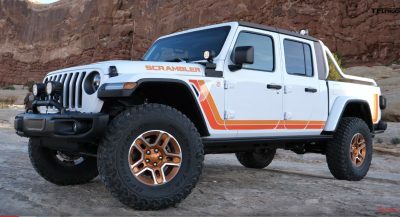 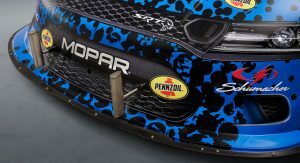 For example, the front end graphics are meant to recreate the Hellcat’s grille and badging, while the decal markers represent the air extractors and hood scoop of the production car. 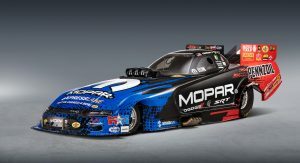 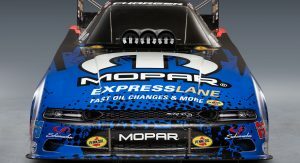 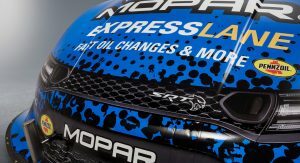 This new Hellcat Funny Car body replaces the current generation Mopar Dodge Charger R/T race car, which has amassed 50 wins to date, including 42 runner-up finishes and 40 No.1 qualifier spots. 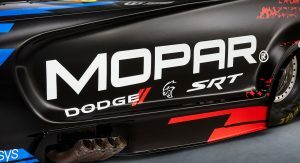 It’s a bit of copy and paste press release is it? 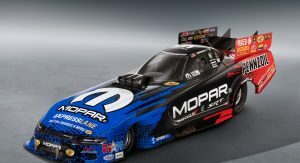 Most of funny car were painted to look like a street car.